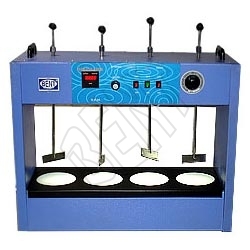 A Floculator, also known as Jar Test Apparatus, is a lab testing equipment used for uniform stirring of samples. We are manufacturer of some of the best quality Floculators produced in the industry. The units are provided with some special features uniform in all the machines.